The Kabukalan Spring is located on the topmost level of Kawasan Falls (depending on who you ask, it's the 3rd major level-sort of). I have previously blogged about Kawasan Falls already as well as mentioned it in my Canyoneering Blogpost since Kabukalan spring is also the exit point for that and for those also traversing from the Mantalongon highlands in OPeak. The Kabukalan spring is a cold spring by the way and it's way cooler or colder than the one down at the first major falls. The Kabukalan spring shares it's history as well as it's mystical nature with the one of Cebu’s popular tourist destinations — the Kawasan falls in Badian town, Cebu. On early day, without people it really looks enchanted like the first photo above. According to locals, it is not every year that a person dies at the falls but every two years. The deaths were a warning, according to a quack doctor or locally known as “mananambal,” whose services was sought on the death of a tourist several years ago. It takes sometime for the body of a person, who drowns at the falls, to surface, which fuels the stories. 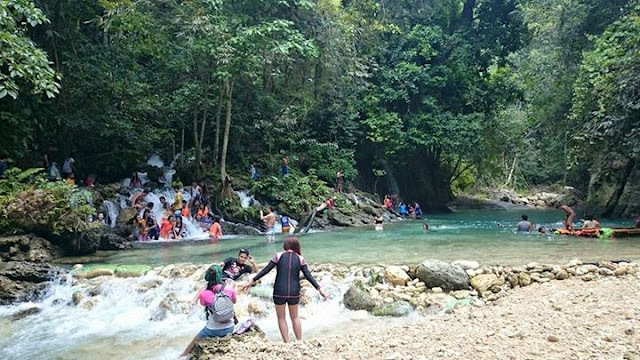 Workers from the Kawasan Multi-Purpose Cooperative, said there is a story that the spirits of the forest locally known as “engkanto” ask for 60 human souls in exchange for disturbing their once peaceful place which is now congested with cottages put up by several resorts in the three-tier falls. No explanation was given on why the spirits needed 60 souls. 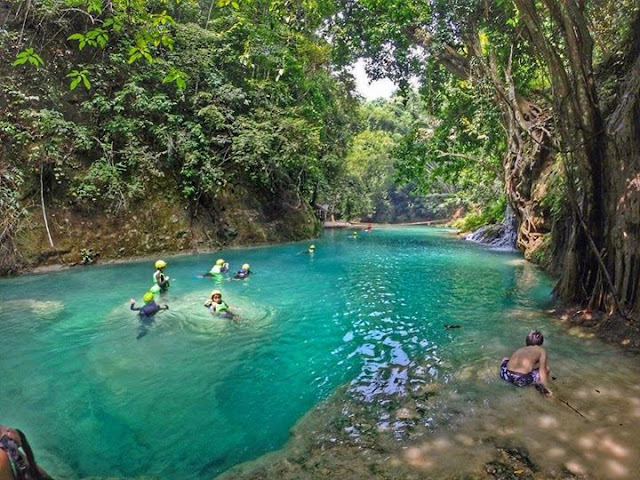 Emma Saldua, an operator of Willy’s Place, the pioneering resort at the falls, said that she believed in “engkantos” but not in the tale that the spirits asked for human souls. “They are really there. We must make sure not to disturb them so they will not harm us,” Saldua said in Cebuano. Last New Year’s Eve, Saldua said she was the only one left at the resort. There were no guests and she was practically alone at the first falls. Thinking these were arriving guests, Saldua went to open the doors and windows of the resort’s convenience store but found no one around. Out of fear, she hurriedly locked up again and played loud music on her radio. 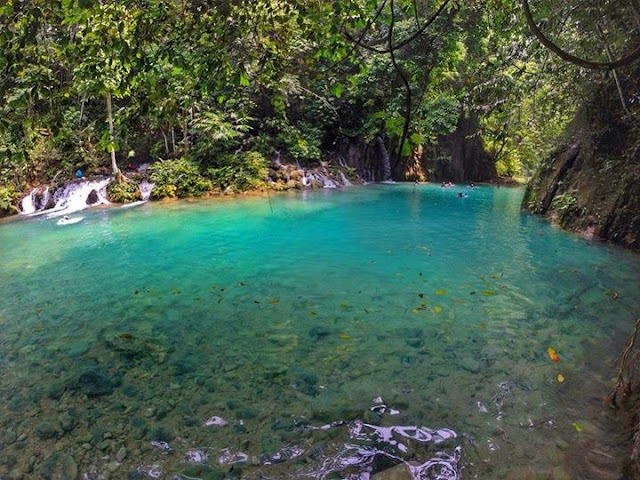 The spring converges with Matutinao river towards the right side but the spring itself has a mini-cascading waterfalls in both the left side and the right. 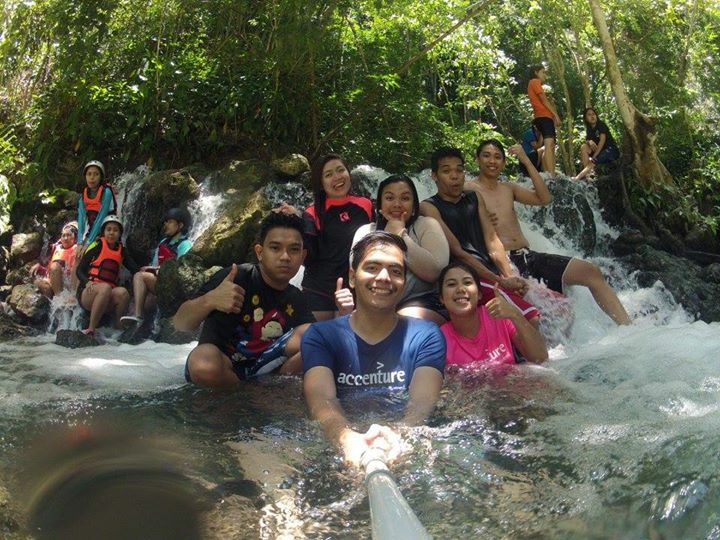 As you can see below, this is the Kabukalan Spring with people. 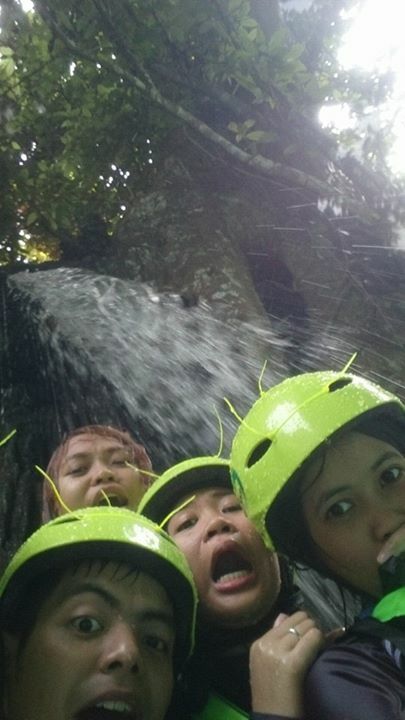 Showering at one of Kabukalan spring's cascades! 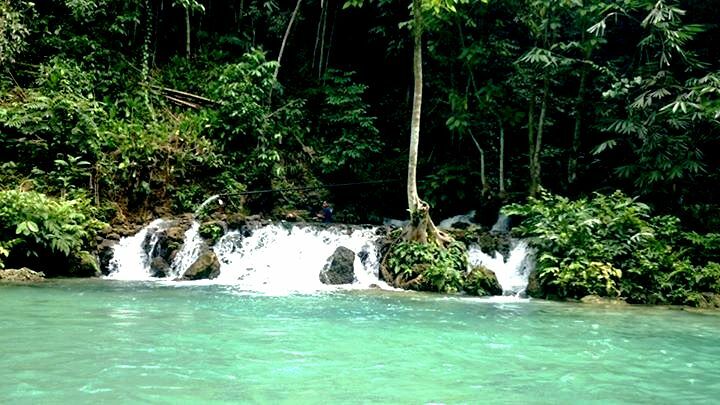 Ghosts and mystical stories are nothing new at Kabukalan Spring as well as the Kawasan Falls, but it still falls upon us to be responsible and accountable in maintaining this beautiful place as responsible tourists, outdoors-folk and travelers! 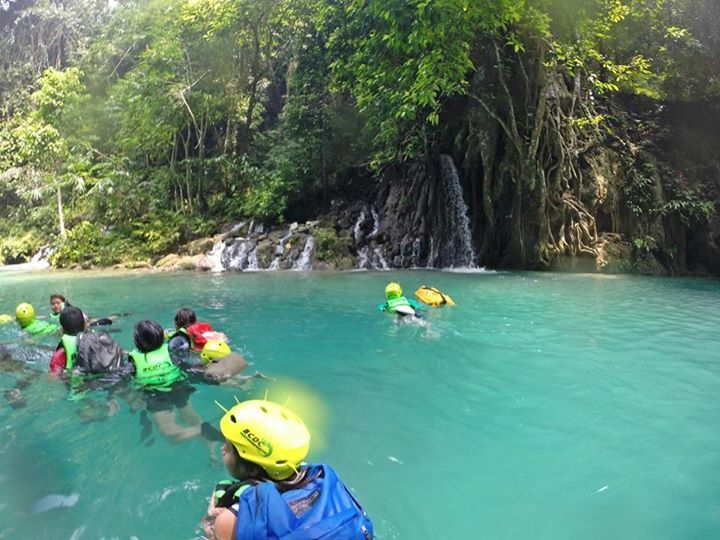 Photos were from Noe's GoPro during our Canyoneering Adventure!